Training courses for prepreg laminating. Pre-preg laminating is widely considered a modern 'craft' skill that requires personnel to be ‘patient and methodical’ in their approach to practical work. Delegates who have fine craft skills, fine craft based hobbies, enjoy solving technical problems, are technically minded, good with their hands etc. often succeed with pre-preg materials. The bottom line is that nobody can train a delegate to be ‘skilled/competent’ within a week, it takes months of experience. What our courses provide is key training covering the basic skills, knowledge and understanding for all personnel. For technician level delegates, this allows delegates go into the working environment informed and able to start with simple jobs under supervision, where skills can then be gained with practice, usually within 3-6 months. For engineering and designer level delegates, this allows delegates to better understand the materials, application techniques and process conditions that can greatly reduce or improve the quality of a pre-preg part. Our stage 1 course is widely considered THE foundation course for high end industry sectors using these materials, including Formula 1 and OEM/Tier 1 Aerospace. This course covers the application of a wide range of pre-preg materials over a range of intricate moulds. The course is limited to laminates and core pre-preg process theory. If you are looking for a thorough understanding of pre-preg laminating or processing, this course is suitable for laminators, technicians, supervisors, engineers, designers, researchers and managers. Delegates must have completed the Stage 1 course prior to taking stage 2 as it is a direct progression course with no duplicated content. This course follows the full range of single, double and triple stage processing techniques associated with using a range of core materials to produce sandwich structures with pre-preg materials. 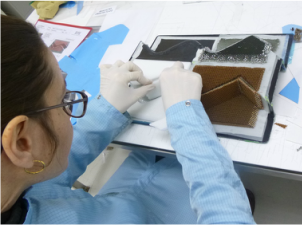 If you are looking for a thorough understanding of pre-preg sandwich structures, this course is suitable for laminators, technicians, supervisors, engineers, designers, researchers and managers. Composite mould tooling is the preferred choice of many companies using pre-preg materials due to the process compatibility of the mould and part materials. 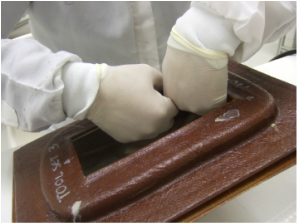 Our Pre-preg mould making course provides comprehensive training, understanding and application of low temperature pre-preg materials, to produce composite tooling. 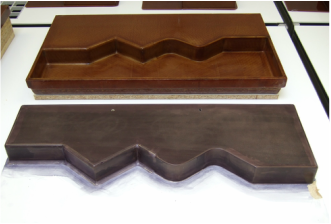 Emphasis is on producing high quality mould tools with complex geometry that are self supporting with no distortion. If you need to understand how to produce high quality composite mould tools, this course is key to progress.